Welcome to the world of textile goods, bead components, fashion accessories and glittering jewelry - Welcome to e-shop Stoklasa Haberdashery Ltd.
E-shop stoklasa-eu.com is good choice for retail customers, owners of e-shops, leaders in their fields or for starting entrepreneurs. Our long-term customers are also fashion designers, theaters, advertising agencies, schools and recreational organizations. In B2B business we operate over 20 years. How to shop in e-shop Stoklasa-eu.com? We have over 6000 products in dozens of color options, but do not worry, with our infographics - shopping will be easy for you. you can browse through our list of items, ie. our product catalogue, where you can quickly view 12, 24, 48 or 96 products per page. The disadvantage of this method of shopping is, that you don't see pictures of all the variations of items (the majority of our products are available in more than one color). Whether you choose a faster purchase from our product catalog or more detailed when you view our product, it is always necessary to choose variation of color or pattern you desire to buy. You also need to click on the package you want. We follow a simple principle - the more you buy, the better price you will get. If you choose a large pack of scissors, in which there are five pieces of scissors, you'll get a better price than if you would buy five individually wrapped scissors. Large packaging means always the best price, because it is not burdened with additional costs, such as meassuring out products, repacking it per one piece, etc. 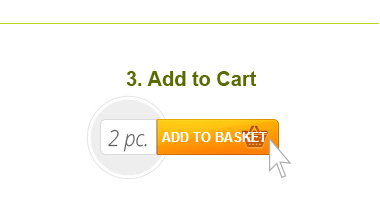 ..
Then you can just add your chosen item to basket . Don't worry, you can always edit your items in basket, remove products or change the quantity. Sometimes there is no time to wade through volumes of information and the word of the hundreds of letters. Our colleagues are here for you. Just give them a phone call or write an e-mail. For assistance in english please contact manager for english speaking countries Romana Wilson. 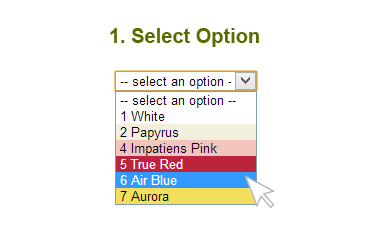 Why do you have such a strange color names like "Impatiens Pink?" One of the most challenging and most unrewarding tasks in craft and haberdashery is how to best convey to the customer what is the acctual color of ribbon or bead . Manufacturers often prefer to use only numbers, rather than a complicate their life with colors. At Stoklasa Haberdashery Ltd. we try to authentically describe the colors of products, so our customers have easy decision when shopping. Therefore, for each color varieties you will see the tint image and products in appropriate color and besides that we also list the name of the color. globally recognized Pantone Fashion + Home color card incl. numeric expression, the TPX, with which you can encounter especially by haberdashery items such as yarn or ribbon. We measure colors by certified analyzer that provides both precise measurement of Pantone colors and also measures the rgb. How can I get a better price? 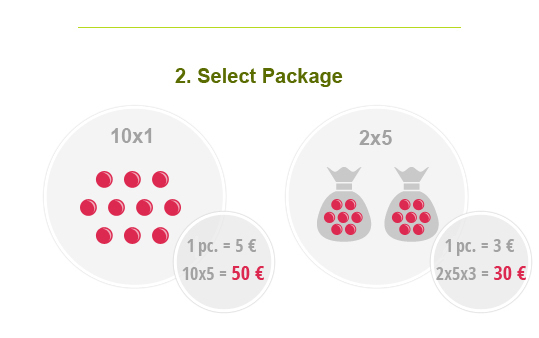 If the total amount of your annual purchases exceeds 120 000 CZK excl. VAT (approx. 4 500 EUR) please contact our business director to find out what advantage does it bring you. For customes whos annual purchases exceed 240 000 CZK excl. VAT (approx. 9 000 EUR) we have even better terms. I am building my e-shop, can I use your photos? Yes, register, shop and download our photos for free. We can also provide you with Xml Feed for free, you will have a daily updated list of goods, incl. specifications, photos and text description. For more information see our guide. How long does it take to prepare my order? Standard dispatching time is around two business days from accepting an order. This year our warehouse colleagues were working on automatic acceptance, processing and shipping of your order. We want to assure you that order with five hundreds items (which is most of our orders) will get processed as quickly as you would have order with only one item . A complete list of shipping cost and other benefits can be found in the Terms and Conditions - shipping cost. Do you have local retail stores? Get inspired in our beautifully arranged retail stores. Retail stores are located in Prague, Olomouc, Ostrava, Opava, Brno, Zlín.